Do you know what else drives me nuts? Pushy insurance salesmen that insist that cash value life insurance like Universal Life Insurance, Whole Life Insurance, and Variable Life Insurance are ABSOLUTELY necessary as part of a retirement plan. Yes, there’s a time and place for life insurance, but an investment? Here’s the thing: life insurance has an inherent cost. You are PAYING for life insurance. Will that get cheaper or more expensive as you get older? SURRENDER penalties if you want all of your money back. Often, these last for 10 to 20 years!!! Yes, when we are young, it is cheaper and a better deal overall. But do you really want your cash locked up for at least 10 years? I sure don’t! If a physician is single (& plan on staying that way) and has little to no obligations, in my opinion then there is little to no need for external life insurance outside of what is provided at work and you can skim over the rest of the text here and skip to the action item. For term insurance, the longer the term, the more expensive it is. The shorter the term, the cheaper it is. You could be extremely cheap and get 10-year term or pay a little bit more and get the 20-year term, or pay the most for the 30-year term. Let’s imagine that we go back in time 10 or 20 years to when you first got out of residency or fellowship. How much would insurance cost at that time? I ran some quotes for a 32-year-old for $1,500,000 death benefit of life insurance and entered the results in the tables below. See how the longer the insurance goes, the more expensive it is? Cash value insurance is the most expensive because it is supposed to last up until you are at least 90 years. Over 20 years, you will have paid AT LEAST $60,000 in premiums in the cash value policy versus a mere $18,000 in premiums for the term policy. That’s $42,000 you could have invested elsewhere to get a tax deduction and/or a higher rate of return. Check it out- the 10-year term policy is a SHOCKING 85% cheaper than the universal life policy! If you only have another 10 or 15 years left in your career, consider a term policy rather than a cash value policy. Using a 20-year term policy, a preferred plus health rating is 50% cheaper than a standard health rating. I encourage folks to contribute in their 401k or 403b AT LEAST up to the match. A person could be getting an automatic return of 25%, 50%, or even 100% just for participating (PLUS tax savings)! Another basic philosophy that I have for physicians in practice is to make sure they MAX out their retirement plans BEFORE ever considering an investment in cash value life insurance. A person could get an automatic tax deduction of 25% to 40% just for being in the money and then the money grows tax-deferred! 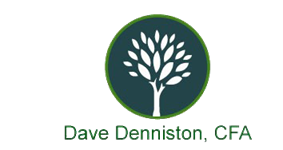 Life insurance cannot give you a tax deduction! Think about this for a second, by socking away $20,000 in a qualified retirement plan and you are in the 30% bracket, you are saving $6,000 RIGHT NOW. Then, consider alternative strategies like the back-door Roth IRA to tax-defer other money and then have it come out tax-free. At the same time if doctors have the ability, I encourage them to also sock away more and more money into non-qualified accounts that they could access at a moment’s notice. There’s a time when a physician should consider cash-value life insurance. For example, once you have a portfolio over a few million dollars you could be exposed to estate taxes. 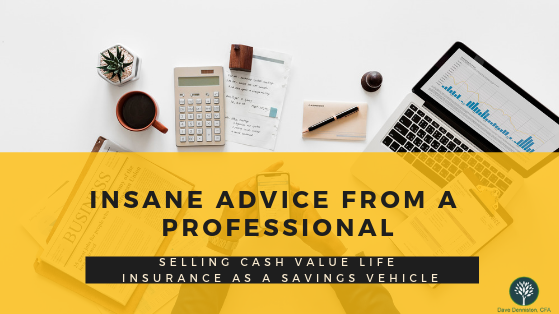 THEN, cash-value life insurance through an ILIT can make great sense, ASSUMING that someone is planning on passing on a whole bunch of money to your heirs.